Earlier this week, Volkswagen admitted fraudulent software causing high exhaust emissions of nitrogen oxides (NOx) from several of its diesel car models during normal driving. That diesel cars emit many times more NOx in normal driving than their legal limit has been known for more than a decade in Europe. The surprise to me is that the enforcement of these legal limits is pursued now from the USA and not from a European authority, and that – in the face of a public outcry – the automaker admitted the same software was not only in US models. Following this announcement, I took a second look into the on-road emission data from Europe and compared it with data collected by colleagues in the USA. We find that VW diesel cars in Europe emit as much NOx as the incriminated models in the USA, as shown in the chart for VW Golf, Jetta and Passat models model years 2009 to 2013. On-road data US: Peter McClintock, remote sensing campaign by Envirotest Inc. for Colorado (2013). On-road data Europe: Jens Borken-Kleefeld, analyzing remote sensing campaigns by AWEL Zurich (2009-2013). Each filtered for normal driving conditions. We measured significant differences between manufacturers, yet on the whole the gap between officially certified and real-driving NOx emissions from diesel cars in Europe has been growing. The few models with low emissions are by far outnumbered by cars with high NOx emissions. Yet, VW’s emission levels are not even the worst in class. 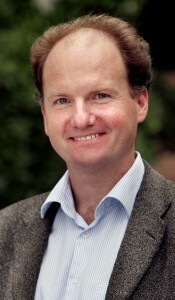 Fabian Wagner is a researcher in IIASA’s Mitigation of Air Pollution and Greenhouse Gases (MAG) Program. He is currently on sabbatical as a visiting professor at Princeton University. What’s your role at Princeton? I have a joint appointment with two institutions within the university, and one of my roles is to improve the communication between these: I am a visiting professor at the relatively young Andlinger Center for Energy and the Environment (ACEE), and a visiting lecturer at the Woodrow Wilson School of Public and International Affairs (WWS). The ACEE is part of the engineering school, so there I mostly interact with engineers, while the WWS mostly hosts economics, lawyers, and political scientists. At WWS I am part of the Science, Technology and Environmental Policy (STEP) Program. 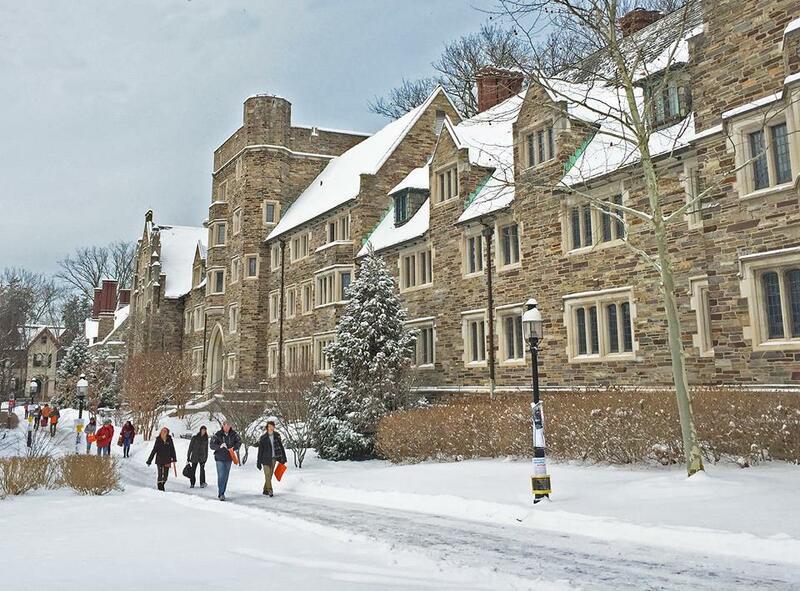 What’s a typical day for you at Princeton? Over the year I am teaching a fair amount, more than the average Princeton faculty. That is, I am not doing a sabbatical in the usual sense of the word. I am basically constantly preparing lectures for courses I am teaching on energy technologies, the energy and water nexus, and energy policy. I am also supervising undergraduate and graduate students on their theses. During the semester there are more seminars, brown bag lunches and breakfasts than one can realistically attend. How does your work at the university differ from your work at IIASA? Here the projects I am involved in do not have strict deadlines: The next deadline is always the next lecture. The exceptions are the days by which grades need to be submitted. As a professor I advise students, but they go away and do their research themselves. It is fascinating to see how smart they are and how quickly they absorb ideas and can apply them. Oh, and I have no supervisor who guides what I do. What do you miss about IIASA? I miss the team spirit of the MAG group, and the more international outlook on issues. What I do not miss is the long commute from Vienna to Laxenburg—here I live on campus and can walk to either one of my offices in three minutes. What are you doing at a university that you would not normally do at IIASA? I attend a lot more seminars, and in general – because the work here is less funding-driven – there is a great deal of room for intellectual curiosity. I also work with corporate partners of the university. While at Princeton, I’m working with a local energy utility on a project to model the future electricity system and electricity market in New Jersey and neighboring states to support the further development of their Energy Master Plan. Here I have a lot of freedom in deciding what projects to engage in and how to spend my time. In my experience Princeton is very open to cross-cutting activities. IIASA is small, so the number of approaches, methods and modes of thinking are limited. On the other hand, much of the work at Princeton is not so holistic and integrated as IIASA’s work, and some activities here lack a critical mass and long-term engagement. When you come back to IIASA, what would you want to bring with you from your experience at Princeton? The courses that I teach here are more on the turf of IIASA’s energy and water programs, so I hope to be able to interact with them more in the future. Also, in addition to the specific things I am learning I also hope to bring back some inspiration to IIASA colleagues to think about the value of changing perspectives from time to time, and about the space of possible career moves. Within the next few decades, the world will need to increase food production to support a growing population also striving for higher shares of animal protein in their nutrition. But food production always affects the environment: Nitrogen runoff from fertilizer has led to major pollution of waterways around the world, while deforestation to extend cropping areas and methane emissions from livestock increase the amount of greenhouse gases in the atmosphere, adding to the problem of climate change. In order to increase food production, without further increasing nitrogen pollution and greenhouse gas emissions, agricultural systems will need to innovate. In a recent study, IIASA researcher Wilfried Winiwarter explored the range of solutions for future agriculture, researching current literature for ideas and innovations, and examining their feasibility and potential. The study focused on innovations ranging from seemingly simple behavioral changes to radical technological fixes as discussed in more detail below. It reviewed existing scientific literature, mostly peer-reviewed, including design studies that quantified potential environmental effects of such innovations. Precision farming refers to technological solutions to improve yields and reduce waste in farming. On the one hand, precision farming can refer to the mechanization of agriculture that may not be environmentally benign, but on the other side, to optimized processes that reduce losses and impacts on the environment. “Much is already happening,” says Winiwarter. For example, milk production in Europe now occurs mainly in large sheds, with indoor cows, not with free-ranging cows in idyllic meadows. While this industrial approach to agriculture makes food cheaper and more abundant, it also raises questions about animal welfare, and the massive scale of such operations can lead to increased greenhouse gas emissions. Precision farming can also be used to reduce the amounts of fertilizers or irrigation used, for example, using soil sensors or other high-tech infrastructure to detect exactly what is needed and apply no more than necessary. Winiwarter notes that the side effects of genetic modification are in general not well understood, and thus possible impacts are quite unpredictable. The study looked into the growing popularity of urban gardening, the “green” trend to grow food in individual gardens inside cities. While urban gardening is generally considered environmentally benign due to small-scale, low transport needs and high personal motivation, Winiwarter notes that it doesn’t have the potential to produce staple food required to feed large populations. One key background study calculated that urban gardens had the potential to produce 10% or less of the food needed in a given city. “You need space to produce food,” says Winiwarter. Another advantage of vertical farming is that it could be organized to avoid waste: whereas fertilizer in a field runs off or percolates through the soil into the water table, a vertical farm would employ nutrient solutions that could be contained and recycled. However, the sunlight needed for photosynthesis could not so easily be multiplied. Instead, the process would require artificial light, which means enormous amounts of energy – even if efficient LED lighting could be employed. “The question is where you would get that energy,” he says. 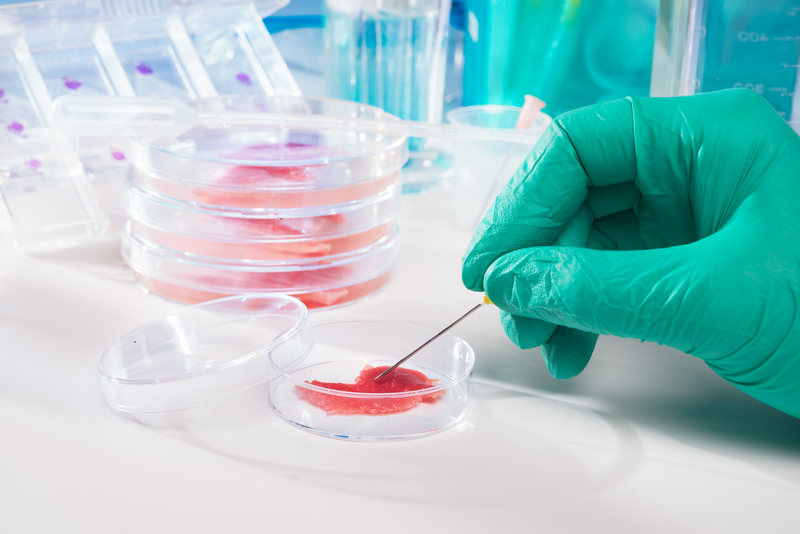 Cultured meat can now be grown in laboratories – but will it ever make sense on a large scale? Europe in particular has a high level of meat consumption, Winiwarter explains, so cutting meat consumption in the region has a large potential. In much of the highly populated areas of Asia, people consume a mostly vegetarian diet. As these countries become richer, increased consumption of meat and milk production is observed when people tend to copy European lifestyle. If Europeans were able to cut down on meat consumption and treat themselves with a more healthy diet, positive environmental effects may even spread to world regions where European food patterns may serve as an example. Agriculture, like a high-tech industry, will continue to develop dynamically in the future. Many paths of development can be imagined, and have been described in scientific or other literature. “There is no ‘silver bullet’ to resolve the environmental damage of agriculture”, Winiwarter says. 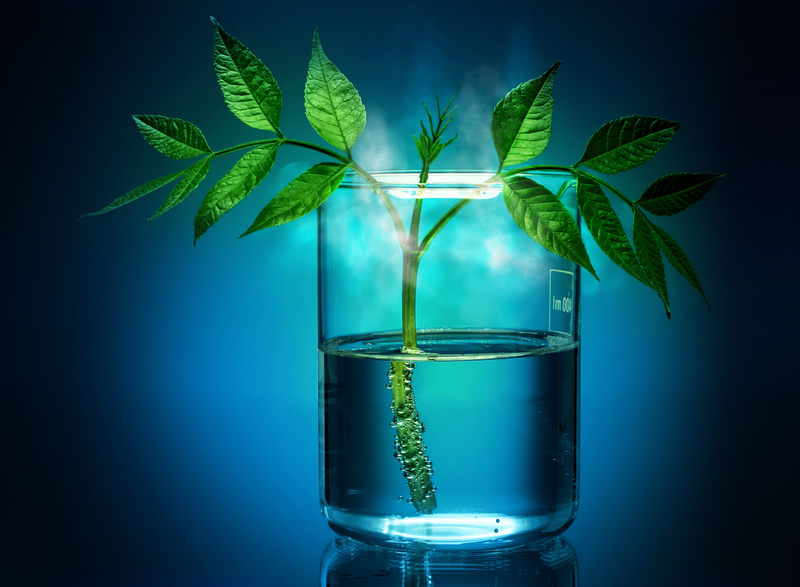 Instead, future innovations will need to be carefully monitored and evaluated for potential environmental effects, in order to minimize damage of nitrogen pollution and maintain livelihood on earth. Jun Liu, a PhD student at the College of Environmental Sciences and Engineering in Peking University, Beijing, China, has won the annual Mikhalevich Award for her outstanding research as part of the 2014 Young Scientists Summer Program (YSSP) in IIASA’s Mitigation of Air Pollution and Greenhouse Gases research program. 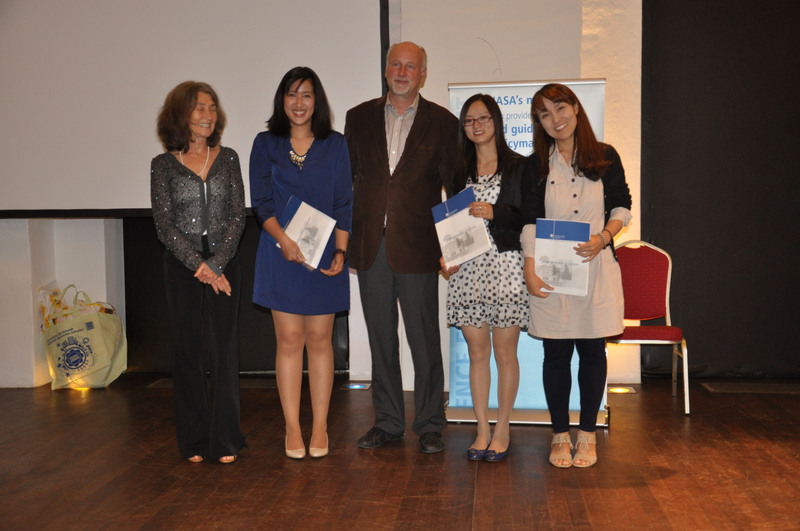 Jun Liu, second from right, at the YSSP award ceremony in August 2014. Could you tell me a bit about yourself? Where are you from and what do you study? I’m a fifth-year PHD student from College of Environmental Sciences and Engineering in Peking University, Beijing, China. My major is Environmental Sciences. My main fields of scientific interest include source of air pollution, regional air quality modeling, mitigation policy and health effects of atmospheric air pollutants. Why did you apply to the Young Scientists Summer Program? For a long time before the YSSP, I had read many excellent research papers on the RAINS and GAINS model. It was developed at IIASA. I hoped to have chance to utilize the model in my research. At the same time, I was so lucky to learn about YSSP application from my supervisors when I was visiting in Princeton University in winter 2013. So I applied for the program. Please tell me about your research project: What was the question you were trying to answer? In the background of Russian-China gas deal signed in May 2014, we wanted to discuss and compare the potential air quality benefits for coal substitution strategies between power plants, industrial boilers, and residential cooking and heating activities. We found that whereas more efforts were directed at the power sector, replacing coal in power sector is actually the least effective strategy to reduce pollutants emissions. Instead, coal substitution in the residential sector achieves the highest potential for emission reduction and air quality benefits. 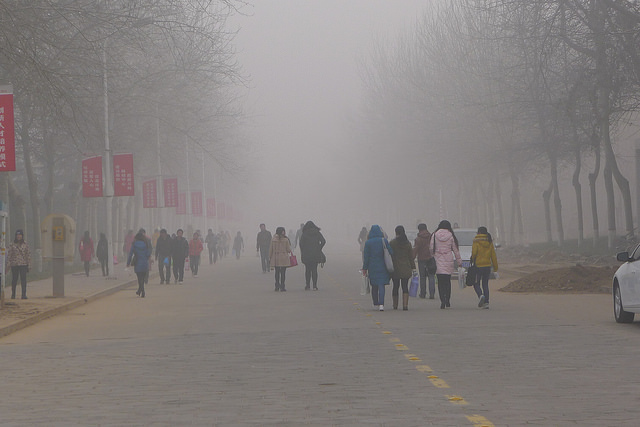 Air pollution is a serious and growing problem in many areas of China. Credit: V.T. Polywoda via Flickr. Why is this research important for policy or society? As we know, China is facing serious air pollution problems. Replacing coal with natural gas is one of the important strategies to reduce this air pollution. Historically, the power sector is the largest coal consumer and receives highest priority for reducing coal use, but the residential sector is scarcely discussed. It is an urgent time for China to propose a rational and effective distribution plan across different sectors for our limited natural gas resources. My study shows that informed decision making should direct strategies to maximize the air quality and human health benefits, rather than focusing on the control of coal consumption. From this perspective, the residential sector is more promising than power sector and industrial boilers. 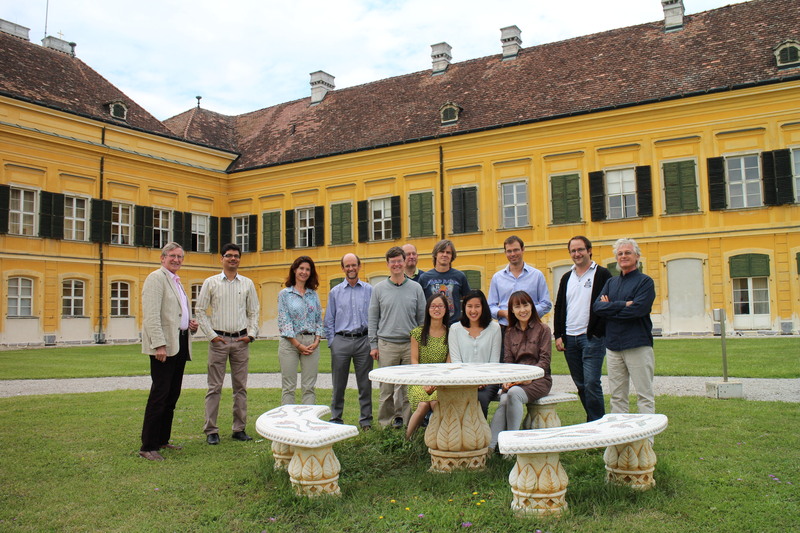 How are you planning to continue this research when you return to IIASA? I plan to finish writing papers for the natural gas scenarios and continue with other policy relevant work, such as potential role of agricultural ammonia emission in air pollution in China. What was your favorite aspect of the YSSP and IIASA? First, The YSSP encourages an interdisciplinary perspective and integrated method. Second, we have lots of opportunities to improve our research through discussions with our research teams, our supervisors at IIASA, and experts in other fields who are also at IIASA. Also we can communicate and learn from other YSSPers to improve our work. The three-month length of the program is highly productive and effective. What was your favorite moment of the summer? There were many moments: I particularly enjoyed the many discussions with my supervisors and my colleagues in my research program, the unforgettable trip with YSSPers to Hallstatt, Asia Day, and the awards ceremony. We have all heard about the terrible air pollution in India’s cities. Average concentrations of particulate pollution exceed World Health Organization guidelines through most of India, most of the time. So why hasn’t anything been done? Is it really too expensive? In a recent publication with fellow IIASA Population Program researcher Warren Sanderson and IIASA Mitigation of Air Pollution and Greenhouse Gases Program researchers Wolfgang Schöpp and Markus Amann, we set to find out. In the study, published in the journal Environmental Science and Technology, we showed that in fact, policy reforms in India targeted at reducing emissions of dangerous fine particulate matter could save thousands of lives, and at the same time save money. Due to their very small size, small particles released by cars, factories, and other combustion can travel very deep down into people’s lungs and cause or worsen all sorts of health issues. In Indian cities, where concentrations of these pollutants are already quite high, the expected increase in economic output over the next two decades will be accompanied by an enormous increase in air pollution, leading to a higher number of sick days or even deaths. Both of these effects could be prevented or at least reduced if stricter regulations on emission limits – already in place in other countries – were imposed. The new study shows that if India enacted pollution controls as stringent as according to European legislation, by the year 2030, the end of the study period, up to 2.5 million premature deaths would be prevented. So how do pollution controls save money? Healthier people are more productive because they are sick less often. People who can expect to live longer in a cleaner environment are more likely to make investments which would again create jobs and boost the economy. Our study shows that by 2030 such investments would in fact more than pay for themselves, when the economic benefits of a healthier population are considered. So why haven’t politicians started doing something already much earlier? One answer might be that such reforms initially only produce costs, whereas the benefits typically don’t crystallize before the next elections. Hopefully, this latest scientific evidence from a collaboration of IIASA population and air pollution researchers can offer these politicians an impetus to act. Read more on the IIASA Web site.